The Cim-Tek 70010 300-10 is a cost-effective gasoline filter for use on gasoline service station pumps and commercial fueling dispensers. It delivers up to 25 GPM and can be used for filtering Gasoline, Ethanol or Methanol blends up to 10% & ultra-low sulfur diesel (ULSD). The Cim-Tek 70012 300-30 is a diesel filter for use on fuel service station pumps and commercial fueling dispensers. It delivers up to 25 GPM and can be used for filtering Diesel, Ethanol or Methanol blends up to 10% & ultra-low sulfur diesel (ULSD). The Cim-Tek 70059 300HS-10 is a gasoline hydrosorb fuel filter for use on gas service station pumps and commercial fueling dispensers. It delivers up to 25 GPM, detects water in product and is used for filtering Gasoline and ultra-low sulfur diesel (ULSD). The Cim-Tek 70064 300HS-30 is a diesel hydrosorb filter for use on diesel service station pumps and commercial fueling dispensers. It delivers up to 25 GPM, detects water in product and is used for filtering Diesel and ultra-low sulfur diesel (ULSD). 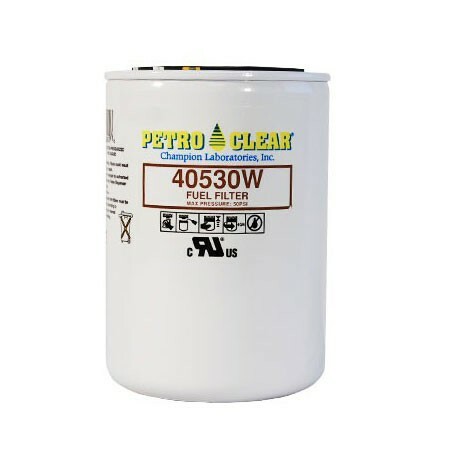 The PetroClear 40530W is a water sensing and particulate removing spin-on fuel filter. It delivers up to 15 GPM (56 LPM). 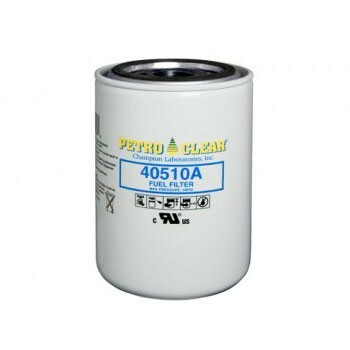 The PetroClear 40510W is a water sensing and particulate removing spin-on fuel filter. It delivers up to 15 GPM (56 LPM). 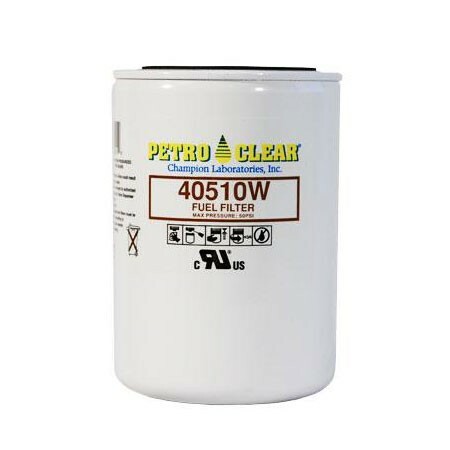 The PetroClear 40510A is a spin-on fuel dispenser filter for particulate removal and phase separation detection in alcohol blended fuels. Delivers up to 15 GPM (56 LPM). 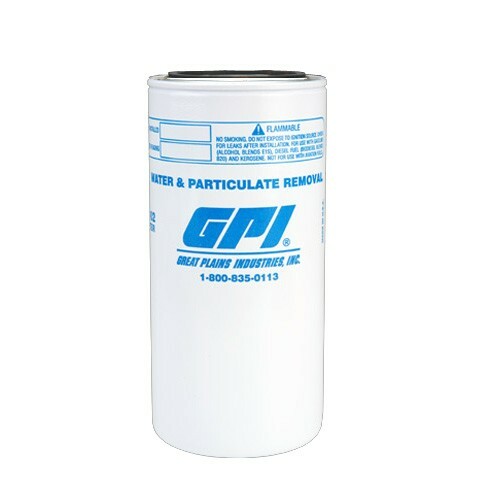 The GPI 129300-01 is a 10 micron particulate removing spin-on fuel filter. It delivers up to 18 GPM (67 LPM), with 1 - 12 UNF mounting thread. GPI 129300-02 is a 10 micron water & particulate filter, It delivers up to 18 GPM (67 LPM), with 1 - 12 UNF. mounting thread. 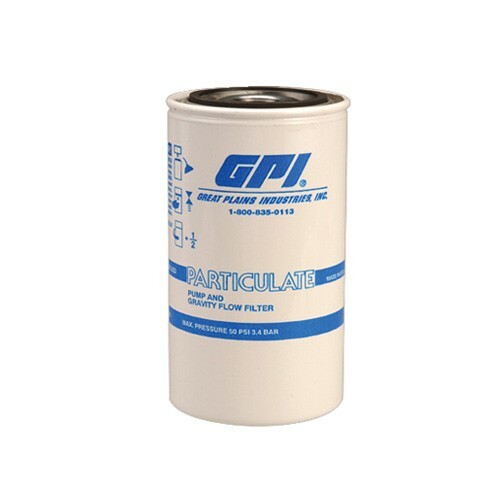 The GPI 129320-01 is a 10 micron particulate removing spin-on fuel filter. It delivers up to 30 GPM (113 LPM), with 1 1/2 - 16 UNF mounting thread. GPI 129320-02 is a 10 micron water & particulate removing spin-on filter, It delivers up to 30 GPM (113 LPM), with 1 1/2 - 16 UNF mounting thread. GPI 129340-01 is a 10 micron particulate filter with draincock. It delivers up to 18 GPM (67 LPM), with 1 3/8 - 12 UNF mounting thread. GPI 129340-02 is a 10 micron particulate filter with draincock. It delivers up to 18 GPM (67 LPM), with 1 - 12 UNF mounting thread. 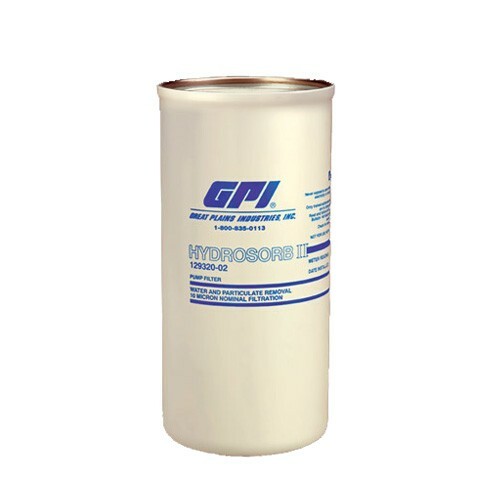 GPI 129922-01 is a 10 micron hydraulic filter. 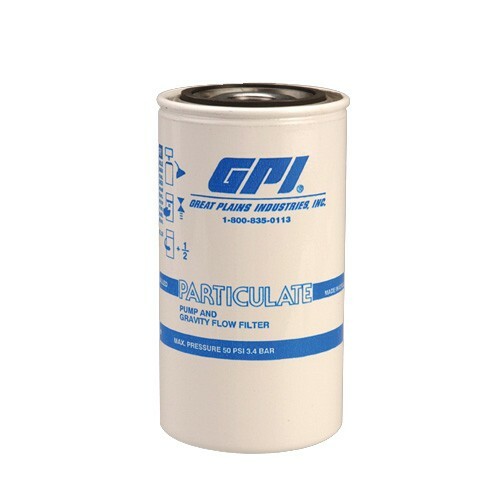 GPI 129923-01 is a 25 micron hydraulic filter. The Cim-Tek 70077 300­-MESH features 144 Micron Stainless Steel Wire Mesh used for Cold Weather Application.